Unless you’re a gardener, you may not know that April is the perfect time to eat fresh peas! So this week in food, we gave you delicious, healthy pea recipes. First up for Meatless Monday was a Fresh Pea and Garlic Gazpacho that is perfect for spring and summer meals. 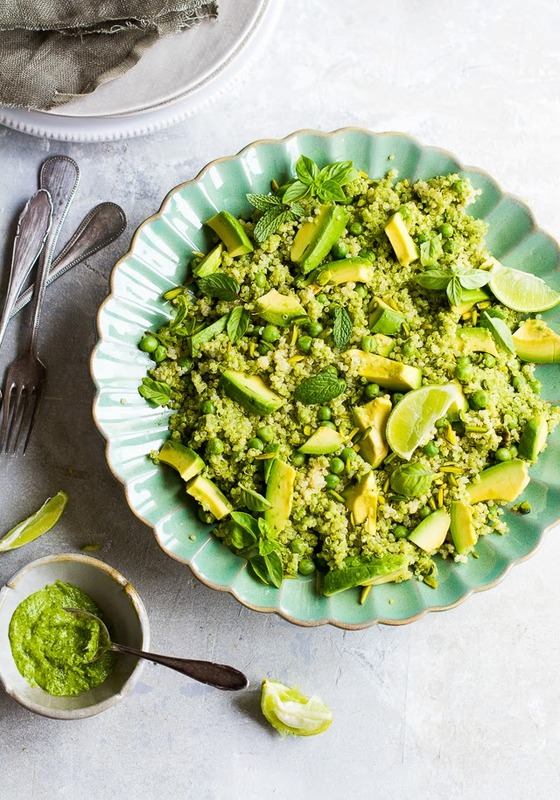 This Green Goddess Salad of Quinoa, Avocado, Peas, and Pistachios is a perfect healthy and filling lunch. This Barbecue Salmon and Snap Pea Slaw recipe is a fun take on summer classics that clocks in at just 268 calories. 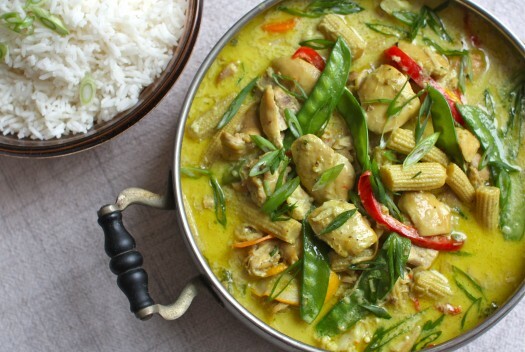 If you’re a beginner to cooking Thai food, this Easy Thai Green Curry is a great starter recipe, and you can use also use frozen peas to make it year-round. Trick your kids into eating their peas with this tasty appetizer of Pea Pesto Crostini that makes the vegetable into a cheesy and smooth dip. Newfangled Peas and Carrots are the perfect side dish for gardeners, using the tender sprouts of the plant. This Slow-Cooker Coconut Ginger Chicken and Vegetables is a rich and creamy stew featuring pea pods. 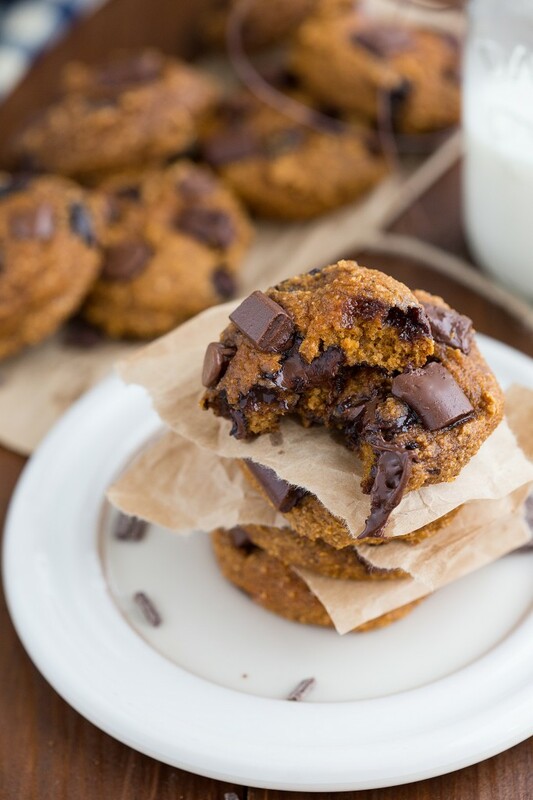 This week in food, we helped you indulge without breaking your diet with healthy desserts. This Fresh Coconut Cake is a delicious show-stopper. Try these rich Broiled Banana Splits for your next ice cream craving. This Blueberry-Peach Cobbler uses fruit that isn’t ripe, so it’s easy to make year-round. At just 80 calories a serving, these Mocha Phyllo Cups will help your chocolate fix. These Lemon-Earl Grey Squares are a perfect afternoon treat with a hot cup of tea. Make this Lemon Cake with Lemon Meringue Frosting for a special dessert that won’t ruin your healthy eating. These Gingered Blueberry Shortcakes are the perfect dessert for when you’re missing summer weather and flavors. This week in food, we helped you stick to your resolutions with some plans for healthy dinners. First up were Spinach and Parmesan Soufflés for Meatless Monday that make rich fine dining, but at only 163 calories. Try these rich Chicken Cutlets with Mushrooms and Pearl Onions that are ready to eat in 40 minutes. Pork Tenderloin and Canneillini Beans will be a hearty winter favorite in your house, especially when it’s on the table in under 30 minutes. Spiced Chicken Thighs with Garlicky Rice make for a flavorful 40-minute dinner any day of the week. Make this Sesame Albacore Tuna for a weekend meal that feels special, but is still healthy. Mustard-Molasses Flank Steak will be a hit with the whole family, and leftovers are great on a salad for you workday lunch. This week in food on social media, we gave you easy, delicious recipes for Thanksgiving appetizers to help you start planning your holiday menus. First up was Fig and Goat Cheese Bruschetta, which you can prepare in advance of the big meal. Clams Casino with Pancetta is decadent and satisfying, but just 61 calories apiece. Ricotta, Gorgonzola, and Honey Spread is a perfect, easy appetizer for your holiday meal. Guests can dip into luscious Warm Cranberry-Walnut Brie while you finish cooking. 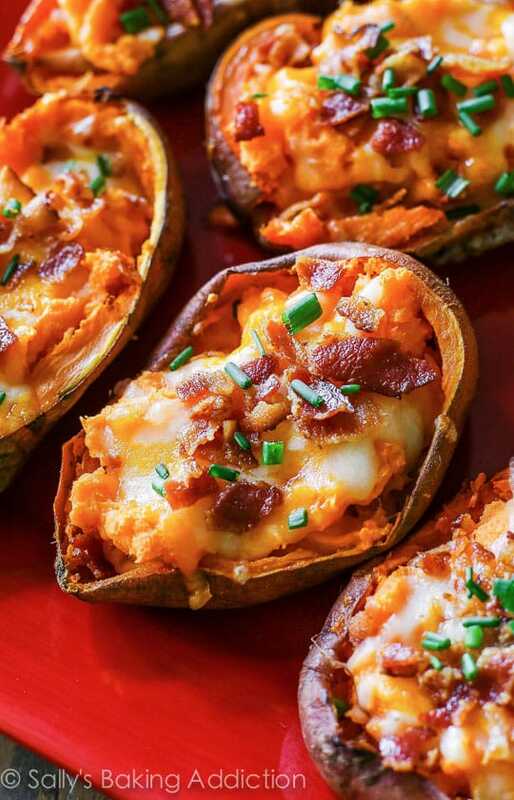 Make Loaded Sweet Potato Skins, a hearty holiday appetizer that could substitute for the classic side. Keep a basket of Honey-Almond Focaccia on the table as a tasty pre-meal snack. Potato-Apple Latkes are a perfect recipe for an appetizer or to save for Christmas breakfast.